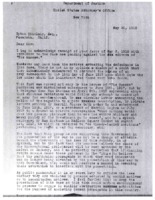 US Attorney responds to letter from Upton Sinclair about the trial against the editors of "The Masses." 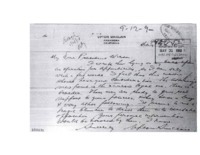 Upton Sinclair writes to Attorney General to argue against the retrial of the editors of "The Masses." 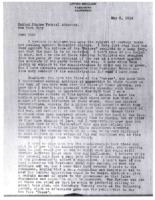 Includes a letter on the topic to him from President Wilson. 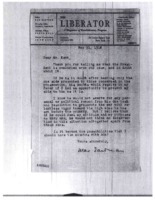 Upton Sinclair writes to President Wilson to argue against the retrial of the editors of "The Masses."